Limit 1 per person. Select flavor, strength and unit color at time of redemption. Must be 18 or older to purchase. Promotional value expires 90 days after purchase. Experience the future of smoking with 23% off five Blackjack e-cigarette cartridges from 21 Century Smoking, available nationwide ($13 value). 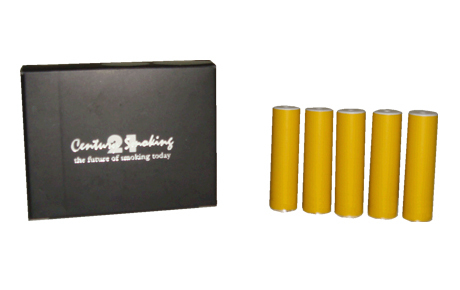 Each cartridge contains approximately 300 puffs in classic flavors like Marlboro, Camel or Newport, or contemporary flavors like chocolate, coffee or cola.